Your Mind and Time is Appreciated! Thanks for all your hard work, emails, and conversations during the mediation. 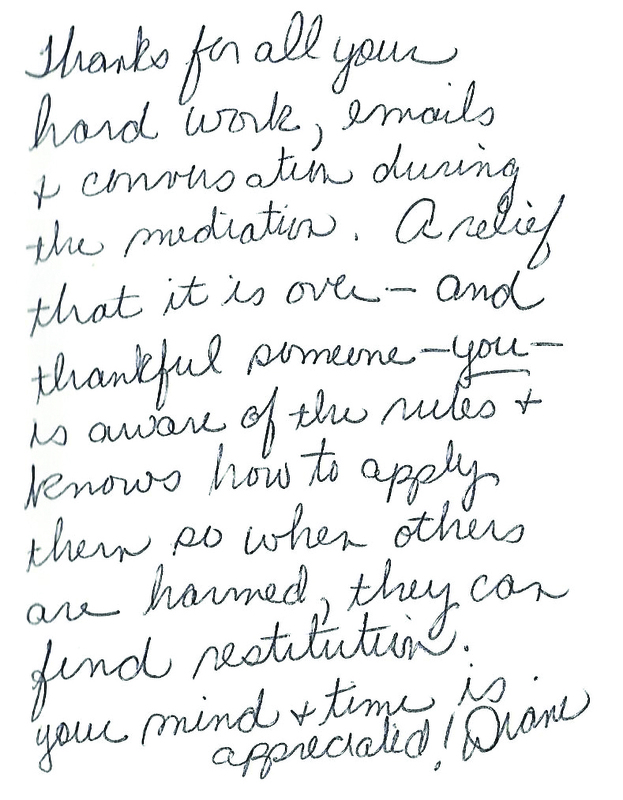 A relief that it is over - and thankful someone -you- is aware of the rules and knows how to apply them so when others are harmed, they can find restitution. Your mind and time is appreciated!